Boutique resorts have become more in demand over the last couple of years, as tourist demographics change in line with Koh Chang’s growing popularity. We have therefore modified and updated last year’s boutique resorts list to reflect this. All these boutique resorts have a reputation for good service, professionalism and value for money, as well as consistently garnering positive reviews and feedback. The resorts tend to be small and stylish, a cut above the straightforward bungalow operation, but not in the mould of the larger resort or hotel. 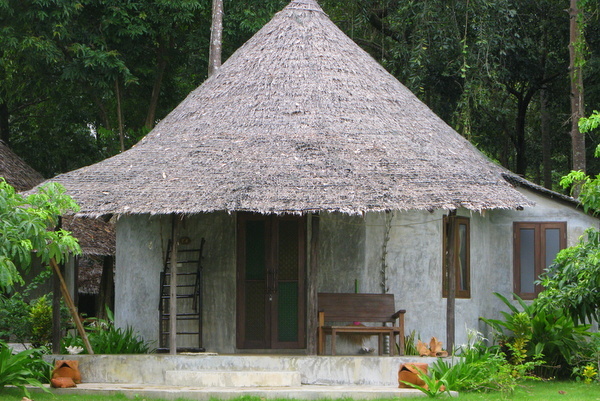 Budget wise, we have also tried to stick to around 2,000bt to 3,000bt a night. Of course, our boutique resorts list is highly subjective and so we may well have overlooked a few places worthy of a spot, but as an accommodation starter, it should give you a guide on what to expect and what’s on offer in boutique resorts on Koh Chang. The backpacker enclave of Lonely Beach is slowly but surely going upmarket and rooms in the 1,000bt to 1,500bt range are more and more prevalent. Carry on up another step in quality again and you have Warapura, our pick. We could have easily have included Nest Sense here too, but with its pool villas and other accommodation, we dropped it into our luxury resorts page. Lonely Beach’s first boutique resort with sea view, poolside and private villas with roof terraces. 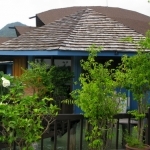 Small swimming pool, stylish restaurant, breakfast included, free wifi. Ten minutes to the beach down at the southern end of the village. A great spot for couples and has air of an oasis of calm among the party fever. Chai Chet has undergone a transformation at its southern end over the last couple of years. It has always had the excellent Paradise Resort down on the sand but the change has been principally driven by the addition of Flora i Talay. Pajamas next door is a another terrific spot which offers some more upmarket rooms alongside its dorms. At the southern end of the Chai Chet beach, a new boutique resort with stylish a/c bungalows, thatch roofs, sand-stone finish in well spaced rows. Funky restaurant, sun terrace and bar with pool table and deck chairs. It has created its own buzz in this up and coming area. Wifi and breakfast is included. Expansion now ongoing. Bang Bao is home to the boats and seafood restaurants. 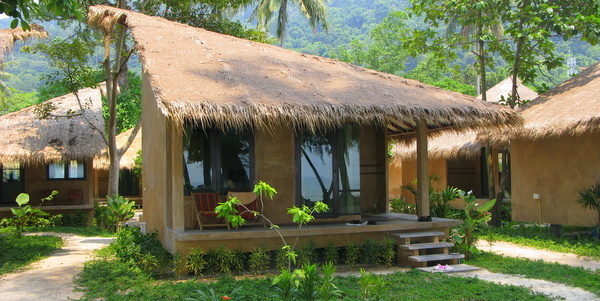 You will most likely end up here for either or both of those options during your time on Koh Chang. Without a beach, visitors tend not to consider it when planning their accommodation, but there are actually a couple of resorts well worth a look. Around the bay, Nirvana still retains its charm, but at the end of the pier, Sea Hut offers a unique place to stay in its cabanas out over the water; they will also ferry you over to the beach known as Klong Kloi (Bang Bao Beach), so you can still get your sand time too. 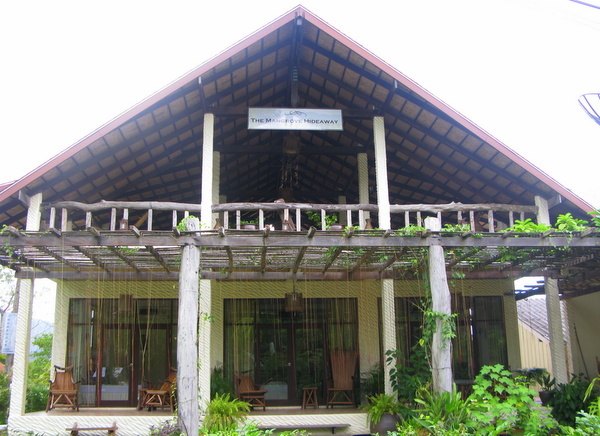 Over on Klong Kloi (Bang Bao Beach) itself, Tropical Resort is another of our choices. Its understated design and perfect location just metres from the waves makes for a winning combination. At the end of the the main pier on its own offshoot pier, Maldive style bungalows joined by little jetties or loft rooms, all a/c and ensuite. Free kayaks and boat to Bang Bao Beach (Klong Kloi). Terrace area. All very tastefully done, breakfast served on your terrace, wifi. Eat along the pier in the evenings, fab seafood. At the far southern end of this very quiet and nicely undeveloped beach, stylish brushed concrete round villas with thatch roofs, a/c and bathroom ensuite, situated either on the beach or back in the trees. Restaurant, boat trips, kayaks, wifi and breakfast. Probably easiest with your own motorbike, but you can manage without. 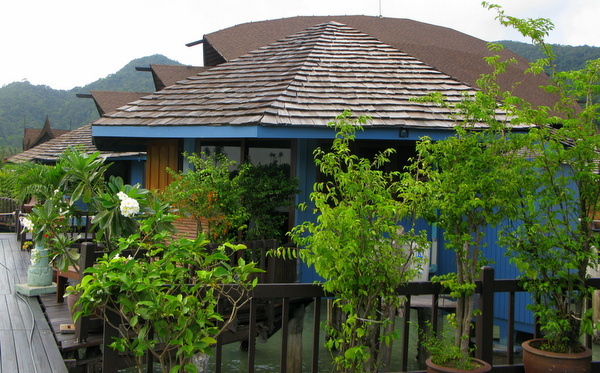 The east and south east of Koh Chang are the least visited areas of Koh Chang. It’s certainly not a typical Thai beach holiday with its rural, local island life relatively untroubled by tourism. 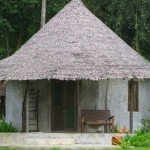 However, here and there among the orchards, fishing boats and homestays, you do find some accommodation surprises. 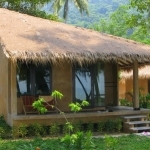 The Mangrove Hideaway completes our picks of boutique resorts on Koh Chang. 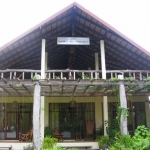 Down in the far south east corner of the island, with its restaurant terrace backing onto the inland canal running from the bay, small boutique two storey resort with rooms and suites, lots of teak floors and wooden furniture, massage and reading areas. Kayaks and boat trips. Very peaceful. Wifi and breakfast.